This 14-day exploration of New Zealand leaves no Hobbit hole undiscovered. Make all types of new friends at the Treetops Lodge and Estate. Ride the Wellington Cable Car to Kelburn. It’s a dream itinerary (designed by a Virtuoso Auckland-based on-site tour company, with your input), but one that leaves time for dawdling, daydreaming, and the good kind of time-outs. A 13-hour flight from Los Angeles to Auckland, we suggest flying Air New Zealand and taking advantage of their “Economy Skycouch” on its 777-300s. The footrests in these rows of three coach seats flip up to form 29-inch-wide couches, giving everyone an increased chance of shut-eye. Arrive at Auckland International Airport and immediately catch a domestic flight to Rotorua for three nights at Treetops Lodge & Estate (archery, clay-shooting, horse trekking, cooking lessons, hiking—all in a kid’s day), in either the main lodge’s family wing or connecting villas. On tap: a visit to the Hobbiton set on Alexander Farm, where scenes from The Lord of the Rings and The Hobbit were filmed; a trip up Rotorua’s Skyline Gondola (and a descent aboard three-wheeled luge carts); a helicopter flight to White Island, an active volcano off the coast; and hoisting the sails aboard a catamaran on Lake Rotoiti. Ride the Wellington Cable Car to Kelburn and walk through the treetops 65 feet above the ground in the Otari Reserve rain forest, then settle into connecting cottage suites at Wharekauhau Country Estate. The Edwardian-style lodge—and working sheep farm—occupies a 5,500-acre clifftop plateau above Palliser Bay’s cacophonous surf. 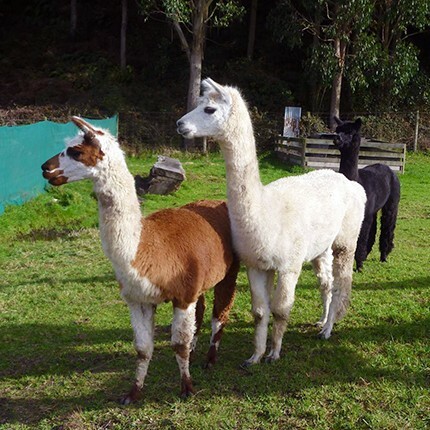 Race ATVs across the bay’s shore, stop at the lodge’s wool shed for a sheep-shearing demonstration, and meet the farm’s working dogs. The South Island’s sunny northern tip is home to three national parks, two of which are stops on this leg of the journey. First up: Depart Kaiteriteri Beach by private boat, traversing dolphin- and fur-seal-inhabited waters en route to Abel Tasman National Park’s Golden Bay for lunch on the beach. Then hop a private helicopter back to Nelson, touching down on Kahurangi National Park’s Mount Olympus on the way. Check into a lakefront apartment or suites at Eichardt’s Private Hotel on the shores of Lake Wakatipu in Queenstown. The city’s bungee-induced reputation for going to extremes is mirrored in its landscape—the sharp teeth of The Remarkables mountains pierce the sky, jet boats blister through narrow canyons, and nearby Fiordland National Park’s glacier-winnowed peaks and dolphin-rich sounds beckon day-trippers. The gem here: a day of hiking, jet boating, and helicoptering through northern Fiordland’s remote Hollyford Valley. 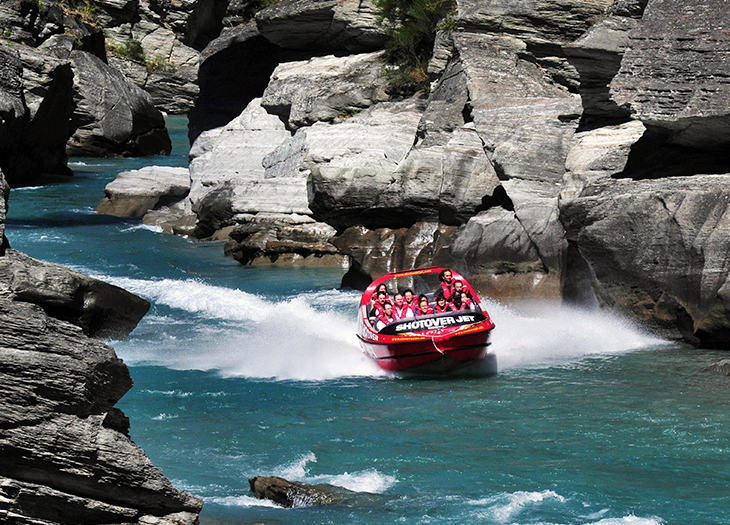 Back in Queenstown, there’s a four-wheel-drive off-road adventure, the canyon-hugging Shotover Jet boat, a run down a luge track, and a treetop zip-line ride. Who wouldn’t sleep well on the flight home after a trip like this? Want a More Grown-Up Adventure?